Space, we never seem to have enough of it in our homes. Whether you need a porch to store muddy boots or a whole new wing, an oak beam extension could be the answer. It is a beautiful and stylish addition to your home and creates extra space without the need to move. 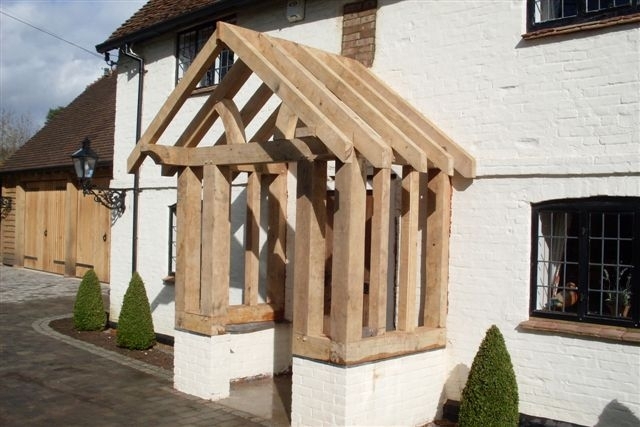 Tradoak specialises in creating bespoke oak beam porches, full extensions and additional rooms. If you need a little extra space, or want to create a more attractive entrance to your home, an oak porch is ideal. You won’t need planning permission for porches with a footprint under three metres because they fall under permitted development. However, if you live in a conservation area or your home is listed you should check before starting work. Extensions fall under two main categories – single room or full extensions which increase the existing building on all floors. They are the perfect way to grow your home with your family or create a new entertaining space. 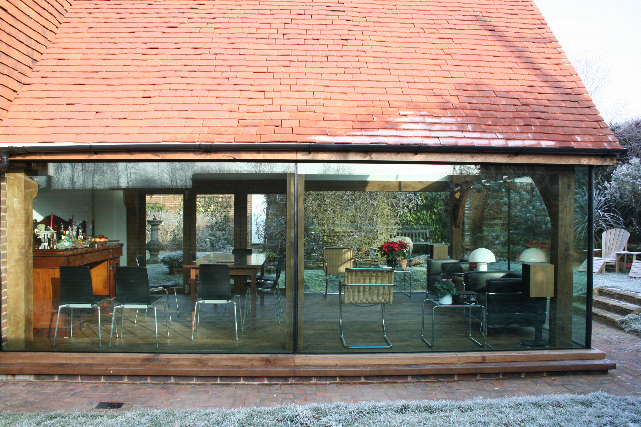 A popular single-room extension is a sun room. 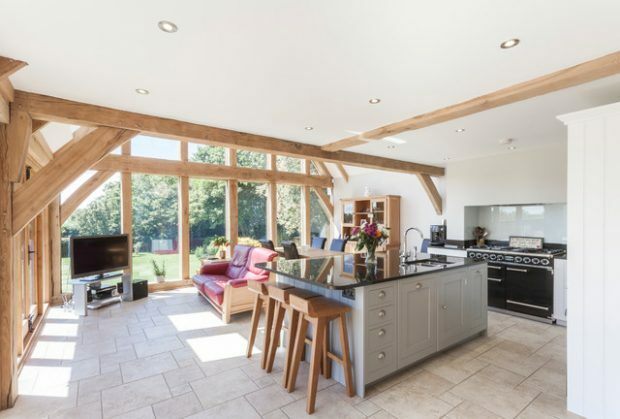 Exposed oak beams framing floor-to-ceiling windows create the perfect harmony of wood’s warmth and stunning natural light. Whatever size or style of extension you decide to go for, Tradoak can create a bespoke design which will enhance your home. If you want to create extra space in your home Tradoak can help you. 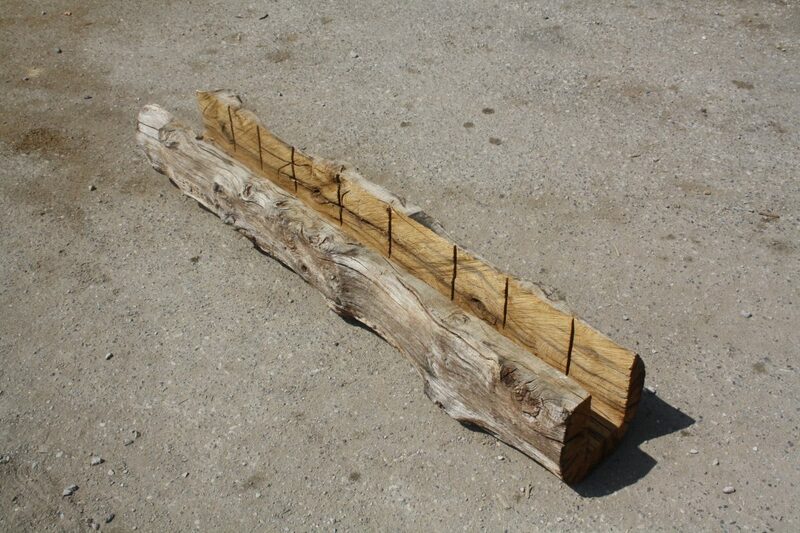 We create bespoke oak beam extensions using reclaimed and air-dried oak. Call us today on 01825 723648 for a free quote or visit our oak beam products page to see more of our services. 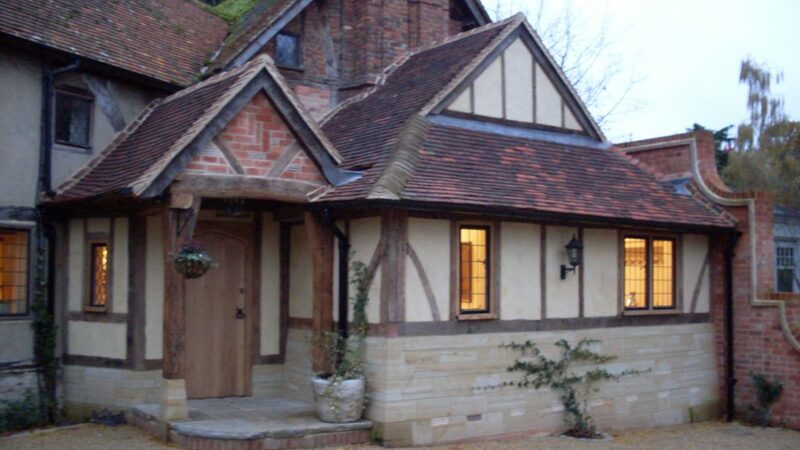 You can view some of our previous oak-framed extensions here.